Sohit Shukla, Ashish Kumar Trivedi, Syed Qmar Abbas, "Event Reducing for Cloud Architecture in Enterprise Application Development" SSRG International Journal of Computer Science and Engineering 3.11 (2016): 1-6. Sohit Shukla, Ashish Kumar Trivedi, Syed Qmar Abbas,(2016). Event Reducing for Cloud Architecture in Enterprise Application Development. 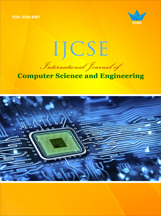 SSRG International Journal of Computer Science and Engineering 3(11), 1-6. Development, implementation and maintenance of Enterprise Application are very difficult; there are several challenges like dependencies of services, response time, linking of implementation and services and rigidity of services exist in Enterprise Applications. Several approaches have been discussed so far to address the challenges of Enterprise Application Development. But several issues are left unaddressed. Recently cloud computing is evolving as a key computing platform for sharing resources. It promises that resources like computing capacity and storage or services like databases or messaging system can rapidly be acquired and released based on the current requirements of the application. Here in this work we propose an architecture that uses Event driven service oriented approach based on cloud computing. In this architecture we use Event Clustering to reduce the redundant and duplicate events coming from private clouds and then forward these events to the Event Orchestration System whose responsibility is to locate services in the public cloud, facilitate these services at user level. As a result service availability to the user is guaranteed in an efficient and effective manner. Baresi, L., Garzotto, F., Paolini, P.: From Web Sites to Web Applications: New Issues for Conceptual Modeling. ERWorkshops 2000: 89-100. Brambilla, M., Ceri, S., Comai, S., Fraternali, P.,Manolescu, I., Specification and design of workflowdrivenhypertexts, Journal of Web Engineering, 1(2) April, 2003. Ceri, S., Fraternali, P., Acerbis, R., Bongio, A., et al. :Architectural Issues and Solutions in the Development ofData-Intensive Web Applications, CIDR2003, Asilomar. Ceri, S., Fraternali, P., Bongio, A.: Web Modeling Language (WebML): a modeling language for designing Web sites.WWW9/Computer Networks 33(1-6): 137-157 (2000). Brambilla, M., Ceri, S., Fraternali, P., di Milano, P., Acerbis, R., Bongio A., Model-driven Design of Serviceenabled Web Applications. Umar Khalid Farooqui, Mohammad Hussain , Ashish Kumar Trivedi ,Architecting Distributed Domain Reducer in Cloud Environment ,International Journal of Computer Applications (0975 – 8887) Volume 40– No.12, February 2012. Greg Boss, Padma Malladi, Dennis Quan, Linda Legregni, Harold Hall, “cloud computing”, 15 Feb-2011. http://download.boulder.ibm.com/ibmdl/pub/ software/dw/wes/hipods/Cloud_computing_wp_final8Oct .pdf. Ceri, S., Fraternali, P., Bongio, A., Brambilla, M., Comai, S., Matera, M.: Designing Data-Intensive Web Applications,Morgan-Kaufmann, December 2002. 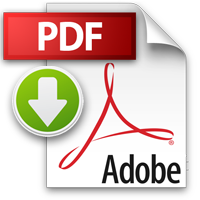 Fernandez, M. F., Florescu, D., Kang, J., Levy, A.Y., Suciu, D.: Catching the Boat with Strudel: Experiences with a Web-Site Management System. SIGMOD 1998: 414-425. Manolescu, I., Brambilla, M., Ceri, S., Comai, S., Fraternali, P.: Model-Driven Design and Deployment of Service-Enabled Web Applications, TOIT, Volume 5, number 2 (May 2005). Schwabe, D., Rossi, G.: An Object Oriented Approach to Web Applications Design. TAPOS 4(4): (1998). Conallen, J., Building Web Applications with UML. Addison Wesley (Object Technology Series), 2000. Enterprise Application, Event Clustering, SOA, Private Cloud, Orchestration engine.